An operation in which the tool is not engaged in the workpiece. Such an operation may include a rapid tool movement, a tool replacement, repositioning the workpiece, inspecting the workpiece, etc. The time required for any tool movements that occur during an operation that do not engage the workpiece. This time includes approaching and retracting from the workpiece, moving between features, and changing tools. Most of these tool movements occur at the rapid travel rate. 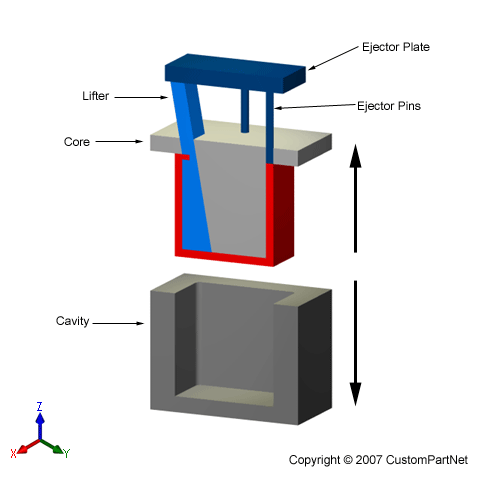 The pressure at which molten material is injected into a mold. Each material has a recommended injection pressure. 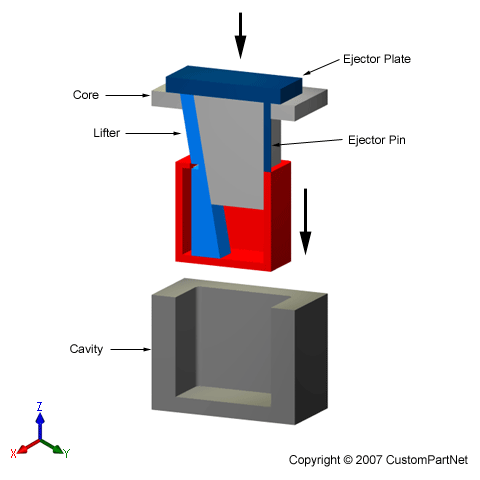 However, the injection pressure may be adjusted based upon the machine being used and the geometry of the part. 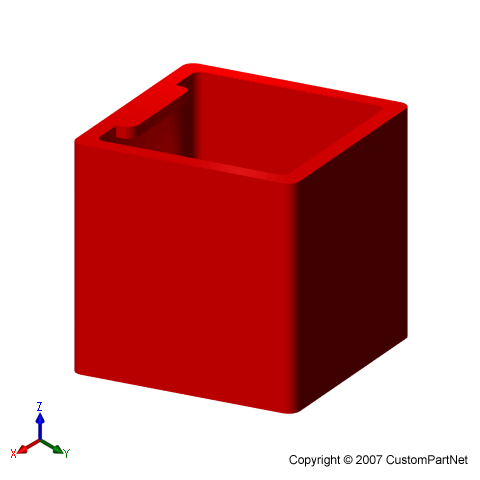 Sometimes referred to as the processing temperature or melt temperature, this property describes the temperature at which molten material is injected into the mold. 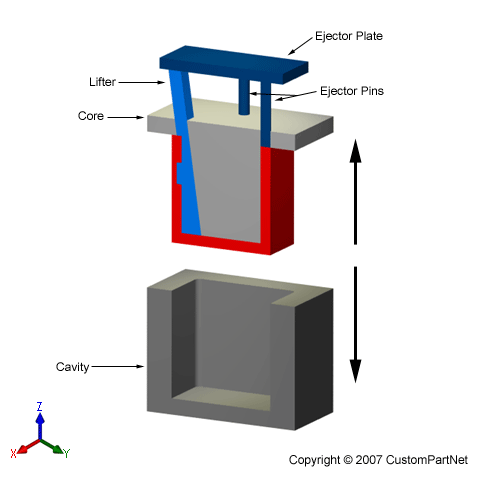 The injection temperature is determined by the material being injected. Parts whose primary function is to act as a point of contact for the user. An additional mold piece that is used to form an internal undercut that cannot be accessed from the side of the part. 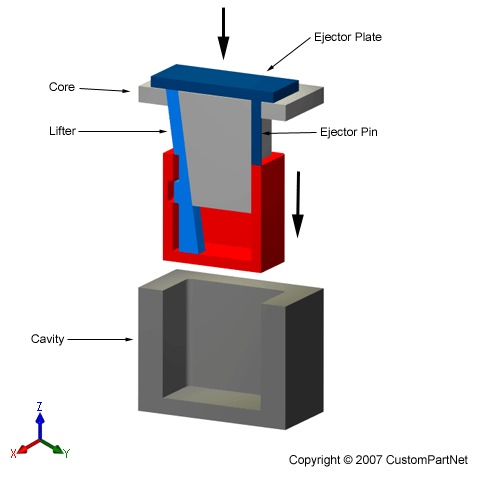 Unlike a side-core, an internal core lifter enters the mold along the parting direction, not through the side, and is actuated by the ejection system. 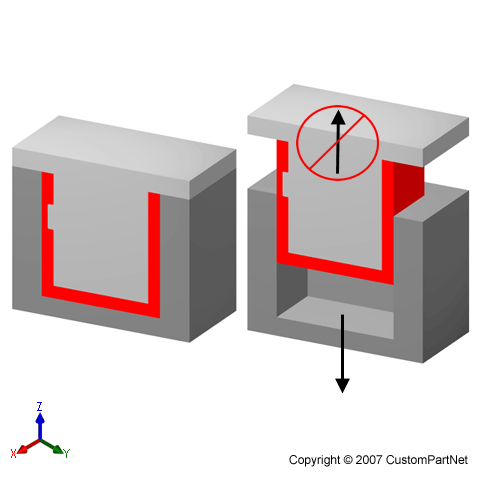 A feature on the interior of a part that will not allow a mold that contains it to slide away along the parting direction. 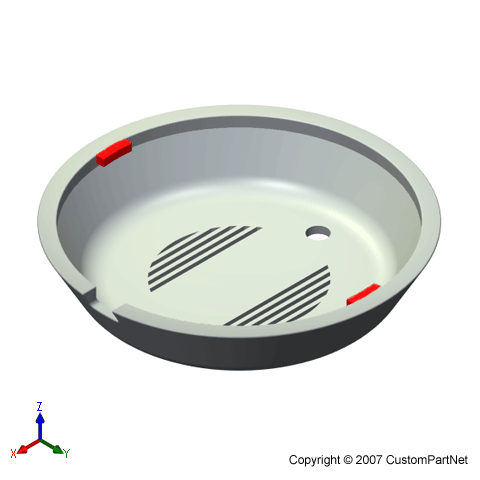 An internal undercut can be either a protrusion or a depression (hole or pocket) and requires an additional mold piece to form its shape. Most internal undercuts require an internal core lifter. However, if the feature can be accessed through an open side of the part, a side-core can be used. 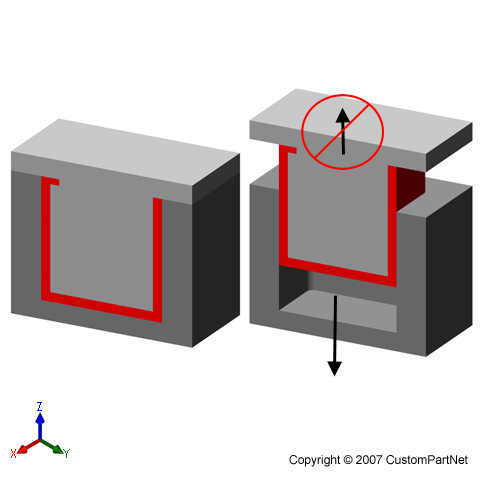 To measure impact strength or notch toughness, a test specimen, usually of square crossed section, is notched and held between a pair of jaws, then broken by a swinging or falling weight. When the pendulum of the Izod testing machine is released it swings with a downward movement and when it reaches the vertical the hammer makes contact with the specimen which is broken by the force of the blow. The hammer continues its upward motion but the energy absorbed in breaking the test piece reduces its momentum. 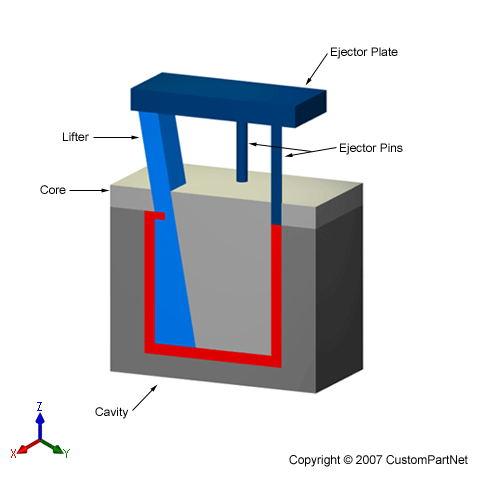 A graduated scale enables a reading to be taken of the energy used to fracture the test piece. To obtain a representative result the average of three tests is used and to ensure that the results conform to those of the steel specification the test specimens should meet the standard dimensions laid down in BS 131. Contrast with Charpy test.